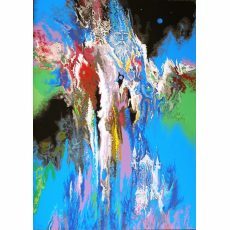 Robert Katona is an American artist and innovator of the Flow Painting Technique. 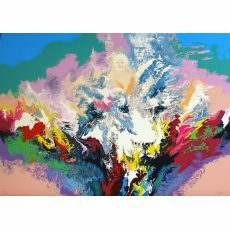 His method uses liquid acrylic paintpoured onto the canvas, creating a dynamic flowing composition. When the paint is dry, he studies the free form color field, and looks for abstract shapes and images that suggest a theme. He then paints these visions into the background with startling precision. When viewing his work it may take several minutes, or even several viewings to find the hidden images and overall impact of the work. 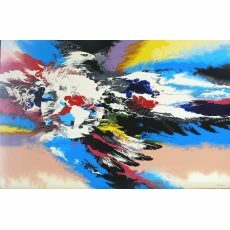 Based in New York for seven years, he created a form of computer art, Techism, made with colored plexiglas and electronics. He is a falconer and the first artist in North America to do falconry art. His knowledge of birds of prey has led to illustration contributions to the Raptor Research Foundation and the North American Peregrine Foundation. His versatility as an artist has gained Katona worldwide reputation, and many awards including an award from the Society of Illustrators in New York, for his work on the book, Golden Eagle Country. 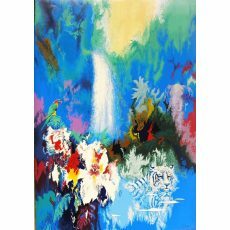 Katona's work appears in collections, (Willie Nelson, John Denver, former U.S. Senator Gary Hart, the U.S. Air Force Academy, and the Royal Family of Saudi Arabia and in museums Museum of Art, Munich, Tapei Museum of Art, and the Biennial in Barcelona, Spain. Katona lives with his wife and two children in Colorado.